It’s January and we’re all trying to eat healthier, this can be challenging enough for the grown ups in the family, but convincing the little picky eaters to eat their vegetables and replace ice cream with fruit can be a littler harder. 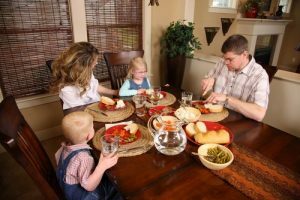 As parents we try our best to make sure our kids eat healthy at every meal time, but sometimes our modern life’s with busy schedules can make it difficult to serve up a healthy home cooked meal for the family every night of the week – below are a few tips from the team at Heavensent Baby gifts on how to combat this. If you are struggling to get your little one to eat their fruit and veg the traditional way, I would highly recommend preparing foods in different ways in a bid to encourage them to try new things. 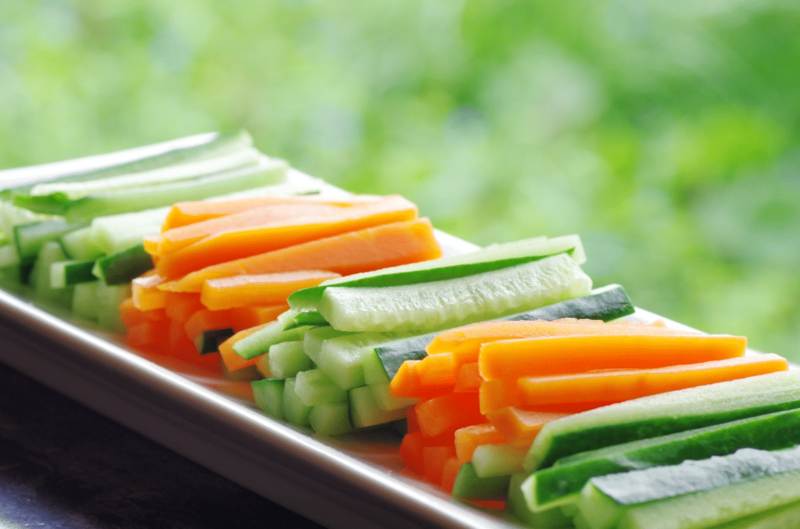 For example, children tend to prefer eating with their hands, so serve their vegetables in a way that they can do this such as carrot or cucumber sticks, corn on the cob or sliced tomatoes. For dessert, you can make your own fresh fruit ice-lollies from fruit juice or blended fruits! My grown up kids used to love growing their own veg at home, I always found that watercress was clean and easy. 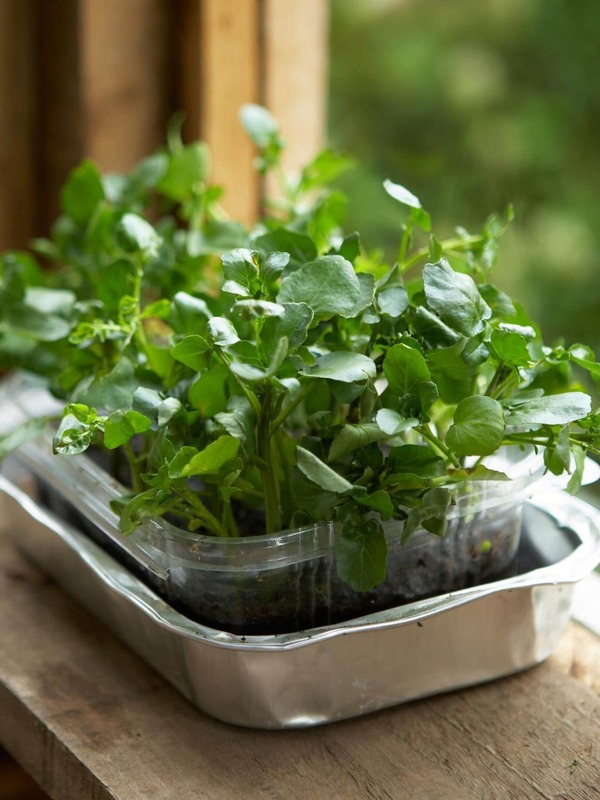 Now you may think growing you own food requires equipment and space in your garden but it is possible to grow your own herbs or sprouting seeds in little pots that can be left on window shelves. Seeing these grow is an excellent way to get kids excited about their food – the easiest ones are lettuce and carrots, all you need is a pot and moist potting soil. All kids love to be involved in helping Mum & Dad prepare and cook dinner, they love helping assemble their own food, so I would recommend laying out the ingredient bowls and letting them fill these up, fold their own wraps or if you are feeling adventurous rolling their very own homemade pizza’s! A simple yet highly effective trick, kids are very impressionable and 9 times out of 10 will want to be eating the same as the grown ups. Many busy parents don’t tend to eat with their kids due to work commitments, so setting aside a couple of days a week to all eat together when new and healthy food is on the menu is a strong recommendation from a mother of three!! This can be a tricky one, but it’s important to introduce your kids to fruit and veg at an early age and being upfront with them about where and why they are good for them can be a good technique. Find out some interesting facts about the foods you are trying to make them eat and find a way to relate these facts to a favourite tv Show character or if they are little older one of their hero’s and watch as they gobble up those greens! Often the best way to get a little one to try something new is to offer them something in return, yet this doesn’t mean it has to be an unhealthy treat, it can be something simple such as a well-done sticker or a new arts & crafts equipment.